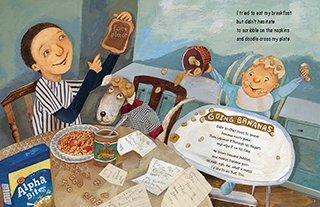 In this lead up to Presidents’ Day, and with the presidential primaries in full swing, it’s the perfect time to share Nice Work, Franklin!, a dee-lightful and uplifting picture book. This historical fiction book asks the question, “Do Presidents Have Challenges?” and answers with “You’d better believe it.” Jurmain goes on to explain that those challenges can be personal or national or sometimes both. For Franklin Delano Roosevelt or FDR as he was known, born with a silver spoon in his mouth, it would not seem that life would present him with many challenges notes Jurmain. “He was rich. He was smart. He was popular.” He also happened to be the cousin of Theodore Roosevelt, President of the United States, who served as an important role model for the career-driven FDR. Destined to do “big stuff,” the younger Roosevelt got into politics first in New York then moved on to running the Navy. It was even looking like he might make a run for governor. The start of the Great Depression immediately following the NYC Stock Market crash of 1929 or Black Friday as it was known, meant millions of people lost their jobs. Not one to be easily discouraged, Franklin felt he could do something to lift America out of its troubles. In 1932 he became the 32nd President of the United States. At his inaugural speech, FDR gave hope to Americans with his famous line, “The only thing we have to fear is fear itself.” Then he got about the business of putting Americans back to work by creating a government jobs program, giving seniors Social Security benefits and creating funding for the unemployed. He even took to the radio with his “Fireside Chats” to speak directly to the American public. He went on to be elected (a total of four times) and watched the nation rise from the depths of despair. And though he still could not walk, he was responsible for putting the country back on its feet again. Nice Work, Franklin! reminds readers of the power of positive thinking. Thanks to his can do approach and record of success, FDR will always be a role model for students. Jurmain aptly chose to highlight some of Roosevelt’s most important contributions to American society in a straight forward manner that is both informative and encouraging. Rather than attempt to cover his entire presidency, the author has concentrated on his first term in office, a pivotal time in U.S. history. 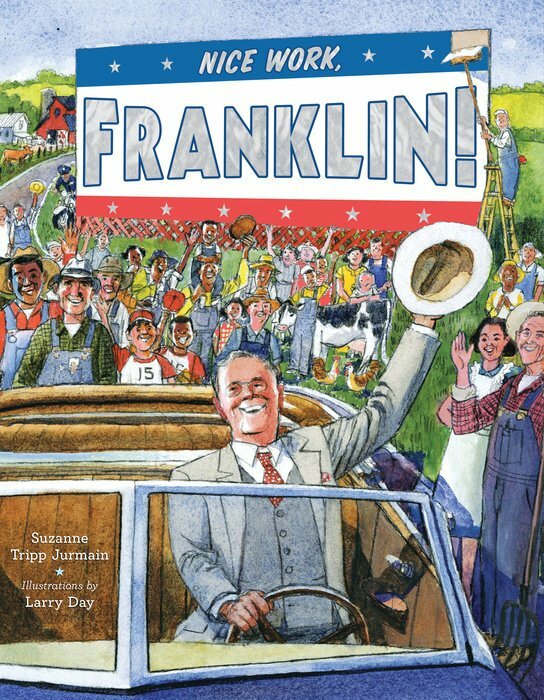 Day, who has twice teamed up with Jurmain on some other presidential themed picture books, captures not only Franklin’s appearance, but his personality as well. The scenes he illustrated depict a nation desperate to recover and on the verge of great change. Two outstanding spreads for me were the one showing the endless lines of jobless men waiting for soup, and the inspiring image of Roosevelt standing up at his swearing-in ceremony ready to give his inaugural address. Between Jurmain’s anecdotes that demonstrate Franklin’s determination to overcome his challenges, and Day’s artwork resulting from “weeks sketching at the Roosevelt Library in Hyde Park,” Nice Work, Franklin! will make a welcome addition to any classroom. 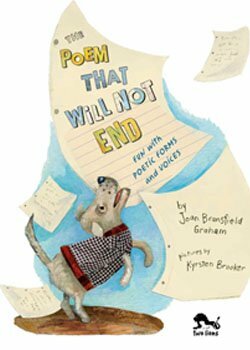 Today Ronna joins the tail end of a blog tour for Joan Bransfield Graham’s new book, The Poem That Will Not End: fun with poetic form and voices, with illustrations by Kyrsten Brooker (Two Lions/Amazon Children’s Publishing, $17.99, Ages 5 and up). The Poem That Will Not End by Joan Bransfield Graham with illustrations by Kyrsten Brooker, Two Lions, 2014. JBG’s book was having a tour. Clever blog tours are hard to ignore. ‘Coz good poetry’s never a bore! 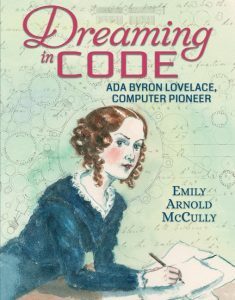 If this book doesn’t inspire kids to try their hand at poetry, I don’t know what will? I found myself relating to the main character, Ryan, who cannot quell his urge to compose poetry. Even his name, Ryan O’Brian, rhymes. Poetry fills his waking hours – at breakfast (see image below), walking to school, in the playground and even in the cafeteria where he must resort to using food to share his Couplet for French Fries. Interior image from The Poem That Will Not End by Joan Bransfield Graham with illustrations by Kyrsten Brooker, Two Lions, 2014. As the story progresses, Ryan dabbles in an excellent array of poetry (that begs to be read aloud) written in every wonderful style from Limerick to Quatrain. What’s so wonderful about this poetry collection is that it’s an engaging story incorporating poems to share Ryan’s feelings and teach poetry at the same time. Throughout the rest of Ryan’s day, he creates poems on the soccer field, poems outside in the rain and one in the bathtub (part of Fever below), that’s very, very clean! I feel compelled to write, and write, and write. Day in, day out, the words just fall like rain. The story ends when Ryan’s completed a word-filled 24 hour cycle of poetry and can no longer produce another poem. His teacher, Ms. Frost (hmmmm …) gives the class an assignment to write a poem about spring. What she doesn’t know is that Ryan’s brain has reached poetry capacity! After he explains his poetry predicament to his teacher, she’s more than happy to have him hand in “recent work” that we’ve all read. Brooker’s cheerful artwork jumps off the page and is a beautiful blend of collage with drawing and photos. I found myself carefully examiming every illustration to absorb all that Brooker delivers. Kids, parents and teachers will appreciate the helpful guide at the end explaining every kind of poetic form and voice used to create The Poem That Will Not End. By including examples as varied as Acrostic to Villanelle, Graham’s clever book serves double duty as both a joyous celebration of the magic a good poem makes and a primer on how to do it well. Check out these other great bloggers’ sites to see what fun they had with Graham’s book! Double Olympic Poetry Challenge–an international event! Teaching Authors–Six Authors Who Also Teach–(USA–using “Bike” as a prompt, write a maskpoem for the same sports item–skis, skates, etc. Maybe it’s because fall is my favorite season. Maybe it’s because the weather gets a bit cooler here in L.A. The street where I live gets tons of trick or treaters beginning about five o’clock with the littlest monsters, penguins, princesses and elves making an appearance before bedtime. The creative costumes never cease to amaze me. One year I recall we had a Mozart, a rain cloud and a laundry basket! I look forward to every shouted TRICK OR TREAT?! In honor of Halloween I’ve put together a varied selection of books to sit down and peruse after they’ve emptied bags and examined their hauls. WHERE’S BOO? 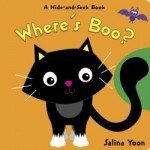 (A Hide-and-Seek Book) by Salina Yoon, Random House Books for Young Readers, $6.99, Ages 0-3. This interactive board book will attract little ones with its velvety-faced kitty on the cover and velvety tail at the end. Parents can help children solve the mystery of where Boo is hiding beginning with a jack-o’-lantern and ending with a door in this die-cut 18 page guessing game. The pictures are sweet not scary, a perfect introduction to All Hallows Eve! Vampirina Ballerina Hosts A Sleepover by Anne Marie Pace with illustrations by LeUyen Pham, Disney-Hyperion 2013. VAMPIRINA BALLERINA HOSTS A SLEEPOVER by Anne Marie Pace with illustrations by LeUyen Pham, Disney-Hyperion, $16.99, ages 3-5. 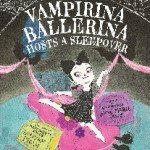 Last year’s Vampirina Ballerina was so popular she’s back again and this time she’s hosting a sleepover. 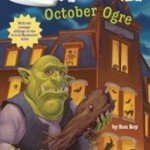 While this picture book is not strictly for Halloween, what better time of year than right now to share a vampire tale? Dad helps with homemade spider invitations, Vampirina tidies up, the menu is prepared and the sleepover party begins! Full of the same delightful detailed artwork featuring all the necessary vampire accoutrements including caskets and headstones plus all the not-to-be-missed facial expressions courtesy of Pham, this latest picture book is something to sink your teeth into. Pace throws in puns galore so parents can get a giggle, too. There’s even a pull-out spread to add to its appeal. This sleepover’s a lids down success. Ghost in The House by Ammi-Joan Paquette with illustrations by Adam Record from Candlewick Press, 2013. 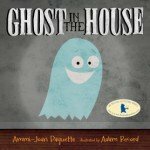 GHOST IN THE HOUSE by Ammi-Joan Paquette with illustrations by Adam Record, Candlewick Press, $15.99, Ages 3-7. What works so well in this picture book is that it’s not only a cumulative counting book beginning with a little ghost, but it’s a fun read-aloud as well with its catchy rhythm and rhyme. Ghost in the House manages to mix a slightly spooky premise and lighten it with a cute cast of characters including a mummy, a monster, a skeleton, a witch and a little boy. The bonus: No trick or treaters anywhere in sight makes it an ideal read for any dark and stormy night! 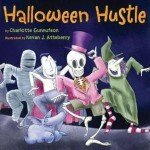 Halloween Hustle by Charlotte Gunnufson with illustrations by Kevan J. Atteberry, Two Lions/Amazon Children’s Publishing, 2013. There’s a hoppin’ Halloween party where Skeleton enters a dance contest, but can he keep it all together? Let’s see what a friendly skeleton girl and a little super-strong glue can do! Ol’ Clip Clop by Patricia C. McKissack with illustrations by Eric Velasquez, Holiday House, 2013. 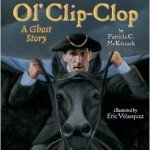 OL’ CLIP CLOP, A GHOST STORY by Patricia C. McKissack with illustrations by Eric Velasquez, Holiday House, $16.95, ages 6-9. This haunting, well-paced and tersely written story is one you’ll want to tell by a roaring fire while huddled next to your child. The climax, where there’s usually a fright, though not as scary for an adult as it may be for a child, is deeply satisfying. The good part is that it’s actually a happy ending because it’s good riddance to the villain, mean John Leep. This well-off, but miserly and greedy landlord has a cruel fate planned for the widow Mayes of Grass Hollow. He’ll demand the rent in full or evict her, throwing her out into the night on a cold Friday the thirteenth, 1741. Velasquez’s artwork of dark upon dark sets the ominous nighttime mood, with the lightest color being the white of widow Mayes’s cap and mean Leep’s linens. The clip, clop, clip, clop sound of Leep’s horse Major gets more and more frightening as Leep feels he is being followed on his way to the widow’s house. What’s in store for the stingy man as leaves the desperate widow wondering if she’ll lose her home? Will he make it home alive? Random House, $4.99, Ages 6-9. Barrons Educational Series, Inc., $19.99, Ages 11 and up. Find these books at your local independent book seller or online today. The Bookworm ($9.95, Karadi Tales, Ages 5 and up) is a story about an Indian boy named, Sesha, who loves to read. In fact he has his head in a book so often that other children his age rarely see his face. His classmates tease him and laugh at him every day, and they even write a song about him. . .
Sesha just keeps to himself and tries to ignore the comments and giggles of the others. He’d rather read and write down his thoughts in his little brown notebook he takes with him everywhere. Well one rainy day, some bullies in his class trip Sesha, causing him and his precious notebook to fall to the ground and get all muddy. Those bullies laugh and laugh, and naturally this is traumatizing for poor Sesha. But later in class something happens that makes the other students – including the bullies – realize that Sesha has something important they wish they had. I absolutely love the glorious collage and ultra colorful watercolor illustrations by Shilo Shiv Suleman, and thoroughly enjoyed how much they enhance this story. 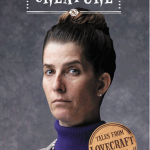 Stories about nerdy kids and bullies are not uncommon. 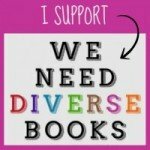 But this picture book is unique in that it broaches the subject of bullying to the youngest readers without preaching. 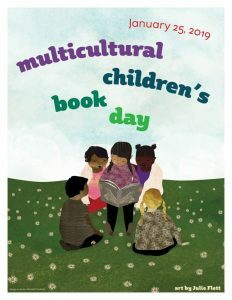 Rather, through carefully selected prose by author LaVanya R.N., the youngest readers are able to relate to the protagonist and learn that it is wrong to tease others for being different. Even better yet, this book shows us all that being smart and well-read is a powerful thing. In the end of this book, guess who has the last laugh? Watch Out, Jolly Green Giant! Today my girlfriend Loren posted her winter harvest color wheel on Facebook. She grew organic beets, broccoli, turnips and red cauliflower. Earlier in the week, down in Florida, reviewer Debbie Glade showed off her heirloom tomatoes and gave readers on her blog her secret tomato sauce recipe with directions and photos! Okay so how do I make my vegetable soup you ask? By taking a trip to the supermarket and buying it there! I so envy the freshness and tastiness of my friends’ latest hauls, but do not have a green thumb. Never did. That’s why I had a vicarious experience reading It’s Our Garden: From Seeds to Harvest in a School Garden by award-winning author and photographer (of more than one hundred books), George Ancona ($16.99, Candlewick Press, ages 5 and up). Do you fancy yourself a gardener? Well author Ancona was curious when he learned that the Acequia Madre Elementary School in Santa Fe, New Mexico had a garden so he paid it a visit. Turns out a lot of the staff, students, parents and other volunteers were digging in and helping out to make that garden grow. In this new book Ancona documents how he spent the better part of year getting to know a lot of green thumbs and watching plant life in its seasonal cycles. By reading the 48 pages filled with fabulous photos, kids will get a great taste of what went into the planting and caring for this successful school garden. Having a school garden means many garden projects can be planned so children can learn first hand about where our flowers, fruits and vegetables come from (and I don’t mean the supermarket!). From choosing what seeds to plant, making compost, planting seeds, transplanting seedlings and all the other steps gardeners must take to assure a viable crop, It’s Our Garden provides a terrific glimpse into the process the whole family will enjoy … and perhaps try to copy. While I am certain Debbie Glade’s favorite part of the book was reading about all the creatures that live in the garden (and the accompanying photos), mine by far was seeing the students enjoy eating the fruits of their labor! In addition to kids benefiting from It’s Our Garden, the book would make an ideal teacher gift and should be on the shelves in every elementary school classroom. 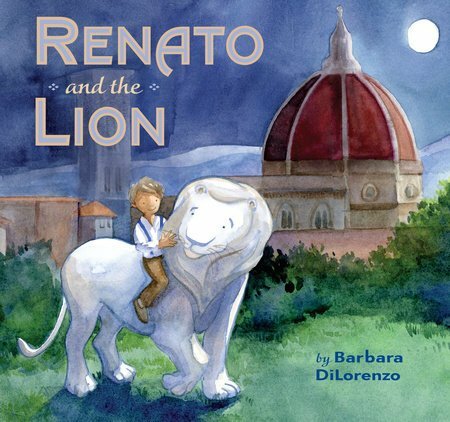 Debbie Glade reviews a beautiful book about Ben Franklin. I can never seem to read enough about Benjamin Franklin. Part of the reason is that he was truly one of the most innovative founding fathers of our great nation. Among his long list of accomplishments; he was a member of the Second Continental Congress, he signed both the Declaration of Independence and the Constitution of the United States of America. Another reason he fascinates me is because my daughter attends the University of Pennsylvania, founded by Ben Franklin himself in the mid 18th century. Electric Ben: The Amazing Life and Times of Ben Franklin ($17.99, Dial Books, Ages 5 and up) is a beautiful book, the kind you want to keep forever. Author and illustrator Robert Byrd does a marvelous job depicting Franklin’s life with both his written word and his intricate watercolor and ink paintings. In the back of the book Byrd discussed the process of finding accurate depictions of Franklin to complete his illustrations, giving readers valuable insight into the process of accurately writing a biography. When you open the inside back or front cover of the book, you’ll find wonderful lists of famous Franklin quotes. You may then find yourself surprised to learn that many of these quotes which we so often use without thinking about their origins actually come from Franklin, including the title of this review! Inside the pages of the book you’ll find the story of Franklin’s life in 2-page topic segments. Readers learn about this founding father as a young boy, a scholar, printer, publisher, scientist, inventor, philosopher, political figure and seeker of justice and peace. Franklin was outspoken and a Renaissance man in so many ways. 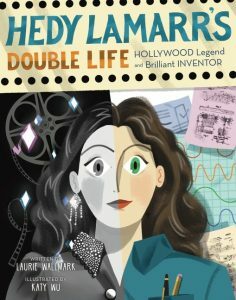 This book is an excellent introduction to Benjamin Franklin for young readers. The text must be read to the youngest readers as it is quite advanced. But that is a positive because reading with your children is so important and rewarding. 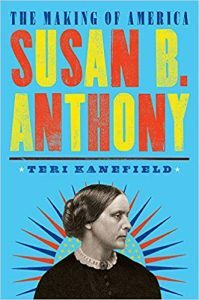 After you finish Electric Ben: The Amazing Life and Times of Ben Franklin both you and your child will want to learn even more about Franklin, one of our nation’s greatest historical figures. If you enjoy this book, you may want to check out another book we reviewed about Ben. The Further Tale of Peter Rabbit ($20, Frederick Warne, ages 5 and up) written by Emma Thompson and illustrated by Eleanor Taylor is reviewed by Ronna Mandel. 110 years on and Beatrix Potter’s characters are still bringing smiles to children around the world, this child included! Oscar-winning actress Emma Thompson has captured the voice, pace and perfect plotting of Potter’s mischievous rabbit in both the newly imagined picture book and the included CD recording. Taylor’s charming illustrations are an additional delight. The Further Tale of Peter Rabbit takes Peter – ever in search of something interesting to occupy his time and against the cautions of Benjamin Bunny – back into the off-limits world known as Mr. McGregor’s garden. What ensues is both a surprise and an adventure, as Peter ends up nodding out in a picnic basket and finds himself in the back of the McGregor’s cart, a wee bit far from home; in Scotland to be precise. Fortunately cousin Finlay McBurney chances upon the lost lad and, in safe surroundings and no time at all, Peter’s up to his shenanigans in a radical way. Without spoiling the plot, suffice it to say that a radish hollowed out by Peter in a fit of hunger plays an important role in a shot put-like competition that will leave readers reeling. Not only was this a totally satisfying read, but a fun one bound to become a bedtime favorite. Dangerously Ever After ($16.99, Dial Books, Ages 5 and up) by Dashka Slater is not your every day fairy tale. Sure there’s a prince, princess, a castle and a forest. But other than that, you’ve never heard this plot before. Princess Amanita is not your quintessential prissy princess, rather she mostly likes things that are dangerous – a pet scorpion, broken glass and a bicycle without brakes, to name a few. One day, Prince Florian from a neighboring castle stops by and brings her roses. The princess loves the long, painful thorns that poke through her skin so much that she puts the roses in a vase with the stems sticking up and the flowers facing down. She asks the prince to please give her some seeds so she can grow more prickly roses. He brings her some seeds, but instead of roses, she finds the seeds have sprouted a bunch of sniffling, sneezing noses. (This part of the book gave me a huge chuckle as I am likely the most allergic person on the planet; one who sneezes throughout the day, every day of every year.) Well Princess Amanita is so disappointed with the useless noses that she sets out on an adventure to return them to the prince. But what she discovers is that these noses may be able to serve a useful purpose. Despite the fact that the book is about a princess, the story is extremely creative, original and humorous. The main character, Princess Amanita, is independent and daring, unlike so many princesses in so many fairy tales. The princess looks at every day things in ways much different than most of us look at them, teaching the reader new creative ways of thinking. Though a very unique plot, the story is still enchanting the way a fairy tale should be. The illustrations by Valeria Docampo are excellent, vibrant and very detailed. 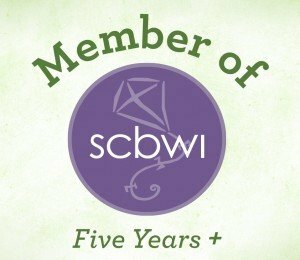 A while back I reviewed another story about a princess – Seriously, Cinderella is So Annoying, that I also loved because it was unique and funny just like this book, yet in a different way. Any story that surprises and delights the reader is worth a look, and Dangerously Ever After is one of those stories. 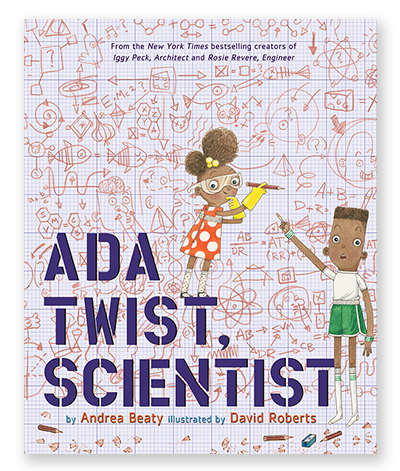 Note: If your child is an early reader, this book is a bit sophisticated and longer than most picture books, so it is best that you read it together.